Need a special gift for someone? An anniversary gift, a gift for a new mama or soon-to-be bride, or just because? 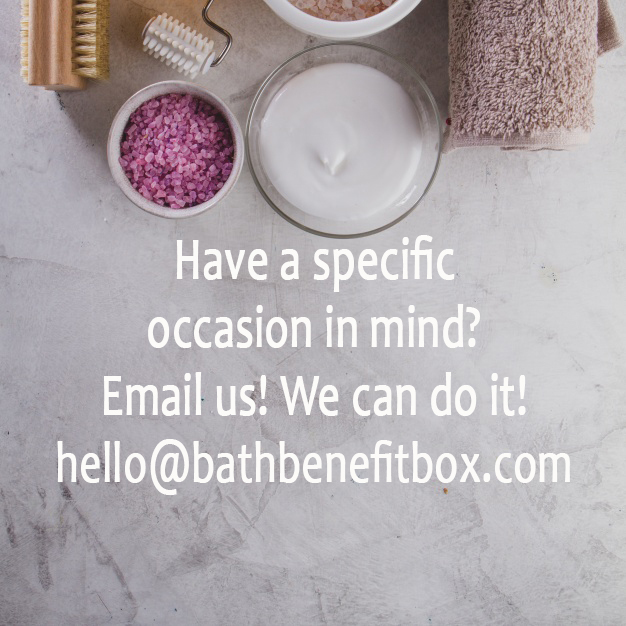 The Bath Benefit is the perfect way to show someone you care and you are thinking of their well-being and health. Our Gift Boxes are filled with the same 5-6 wonderful products you'll find in our premiere subscription box plus they'll include two additional items, special packaging and a personalized note from you. Don't see exactly what you want? Contact us and we'll discuss some options!